Would you like to live and work in Germany? Germany is an attractive country of immigration, with a shortage of qualified workers. At the same time, the laws on immigration to Germany have been simplified. 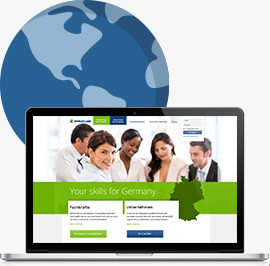 Employland will help you find a job in Germany. Once you’ve found a job our qualified attorneys will, upon request, take care of the residence and employment permits and – if necessary – getting your qualifications recognized. It can be a university degree or completed professional training. Applying with us is especially easy: Just create a profile once, and get found and contacted by employers in Germany. Create your online profile: Register and then fill out the online profile forms step-by-step in your members area. We’ll quiz you on everything an employer in Germany usually wants to know. Please enter all of the information from your résumé here – it’ll significantly help your chances. Employers registered with us search in the individual profiles for suitable employees and contact you directly via our platform. There are no job advertisements on our placement platform. You create your profile one time only and can then be found by employers from all across Germany. Job-seekers are never charged for job placement. Only the employer pays a placement fee once a they have successfully filled a position. Depending on your country of origin, different prerequisites will need to be met in order to be able to work in Germany. 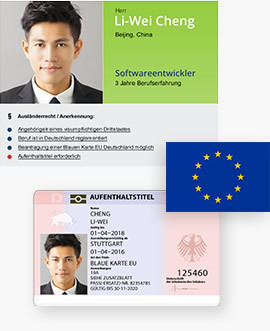 Professionals from non-member countries require a residence permit and a work permit to be able to work in Germany. In addition to that, recognition of your qualifications is often necessary, as is evidence of German language skills. Recognition of qualifications is also required for professionals from the European Union and EFTA countries if they work in a profession that is regulated in Germany, such as geriatric nurses, teachers, and engineers. The legal procedure formalities are extremely difficult to deal with without the support of the future employer in Germany. Usually, the employer commissions us with submitting the applications to the various government agencies. Our qualified attorneys are especially well-versed in immigration and residency law. They will take care of the entire process, right up until receipt of the residence and employment permit. The better you are at speaking German, the easier your path to Germany. 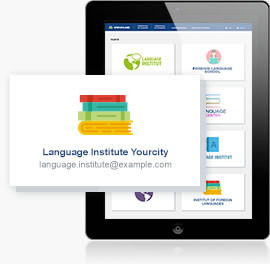 That is why you’ll find language schools worldwide on our website that offer German courses or exams. You can find language schools with German courses or exams in your country here.